Exceptionally quick and easy to set up, the RTX Wireless Phone Jack allows you to add an extra phone socket to your home without the necessity to carry out any rewiring. 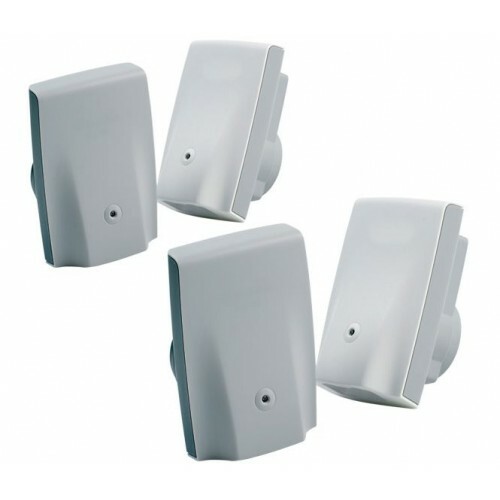 This discounted package includes a base unit and four extender units. The base station communicates with the extenders at a data transfer rate of 56 Kbit/s to facilitate clear phone calls with both corded and cordless phones, and no additional wires are required. Simply connect the base station to the phone socket and to a power point, and connect the extenders to any other power points in your home to instantly provide an additional phone socket. Why Should You Buy the RTX Phone Jacks? Thanks to one­-minute plug­-and-­play setup, the RTX Wireless Phone Jack provides a user­-friendly solution for home and business users who need to add up to four new phone sockets.